The good news is that most of the racks are empty or almost empty. 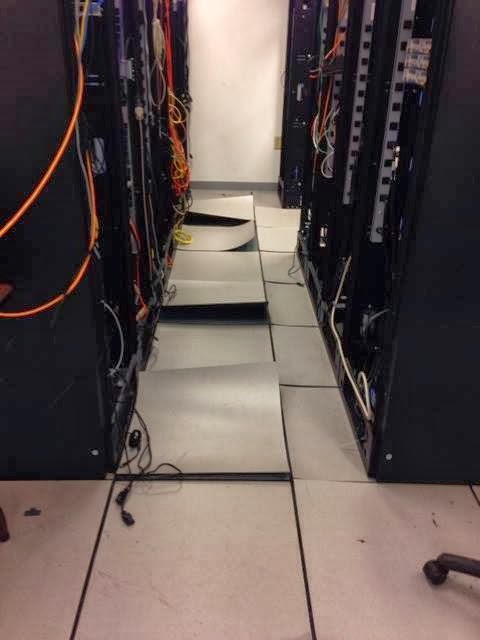 I can't imagine what would have happened if they had been full of heat producing servers. 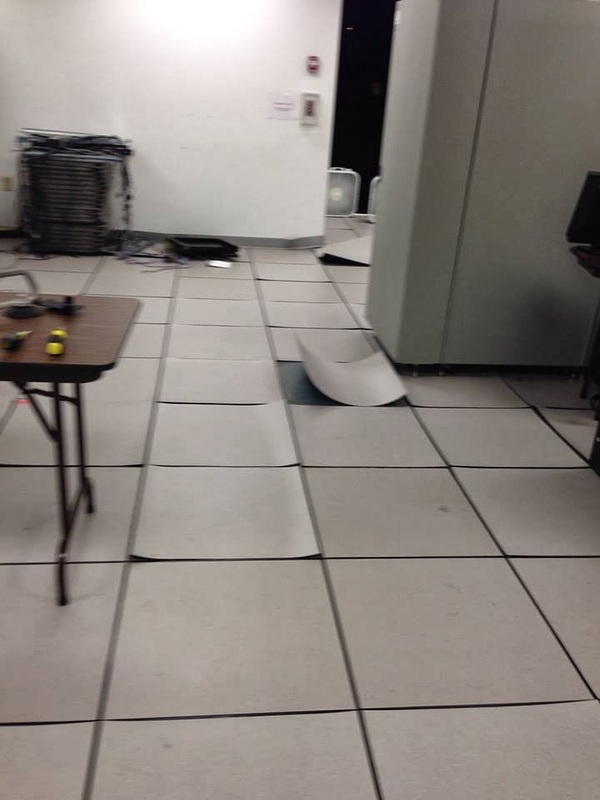 You can tell which racks had servers in them - that's where the tiles curled. A small datacentre for a prison, cooled by an oversized colling system (since we expected growth). Only problem was, the coolers temperature got too low and it went into a protection state. No problem, unless it never left that protective state... so no colling since friday afternoon. I feel your pain. You can see in the second picture a couple of box fans and the open door. Those boxes fans can be worth their weight in gold.